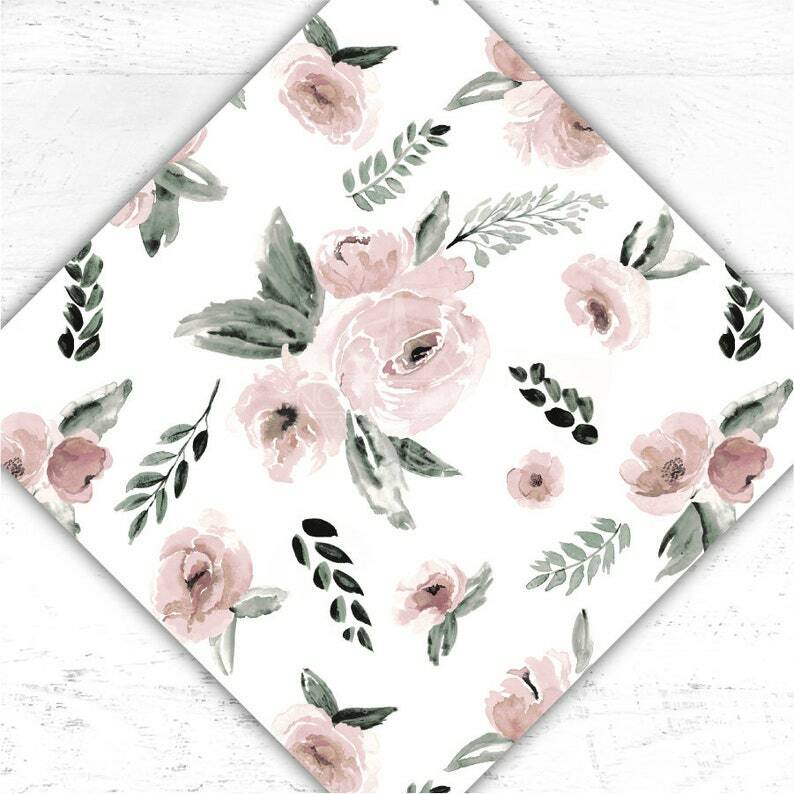 Blush pink and green watercolor floral on white. All vinyl is printed on premium vinyls with a wide format eco-solvent printer using the best possible inks to ensure superior print quality and durability. Vinyls are suitable for all home and commercial use cutting machines. I ensure all prints are the highest possible quality, free of pixelation and distortion. This print is exclusive to North Eighty. Actual printed vinyl colors may vary from what is displayed on your computer due to monitor display settings and materials printed. Heat press and teflon sheet recommended for htv. Always test cut vinyl and application process. Adhesive and heat transfer vinyl is not reusable. B E A U T I F U L! I am in love with this shop's designs! This floral pattern I bought was beautiful and it had a quick turn around! Thank you so much! At this time North Eighty uses USPS Priority and First Class Mail for physical items. I do not offer international shipping at this time, but most certainly will ship to APO/FPO mail boxes. If international shipping becomes available, it is the responsibility of the customer to be aware of and responsible for all important taxes for their country. This includes digital downloadable items. It is against the Terms of Service for North Eighty to mark a package as a gift and I strongly believe in ethical business practices. It is the responsibility of the customer to ensure correct shipping address at the time of order placement, and North Eighty is released from any liability should the customer order with an incorrect address. Production times vary before shipping (production time does NOT include additional days for shipping time) more information will be provided in each listing, and it is the customer’s responsibility to order within this time frame; should you require a product sooner it is your responsibility to contact me prior to purchase to discuss availability and upgrade options. North Eighty is released from liability for delays in shipping once a package has left our care. We are unable to control shipping factors such as weather, staffing errors, or delays and by purchasing a product from North Eighty, the customer recognizes that all shipping profiles are estimates and not guarantees of time. Should an error occur in shipping; it is the responsibility of the customer to contact their local USPS and file a formal complaint and case. North Eighty is available for questions should this unlikely event occur.